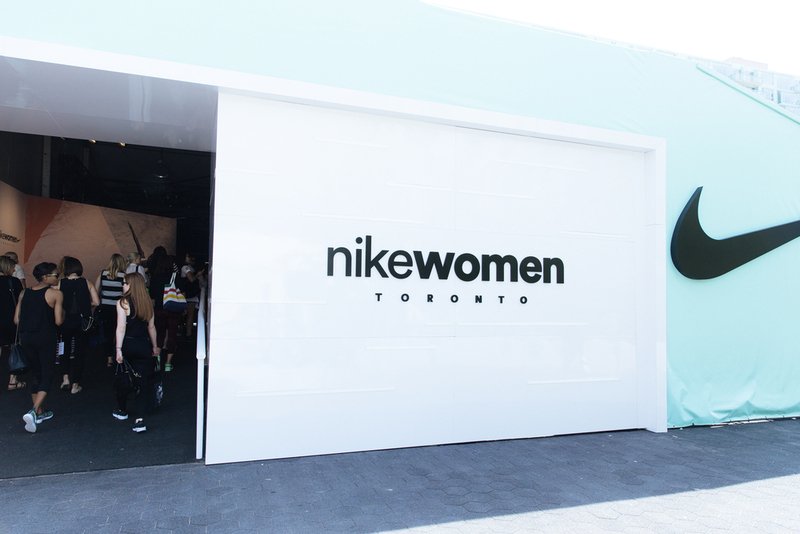 From Thursday, June 11, through to Sunday, June 14, Nike Women's Weekend had commenced in Toronto as part of the Nike Women's 15K Race festivities. Their media crew had the honour of exclusively previewing and experiencing firsthand, the latest Nike Women's Village and Crystal Coliseum installations at the Harbourfront Centre. In addition, they were granted a private N+TC workout on a custom-built studio barge on Lake Ontario with Toronto's Nike Master Trainer, Eva Redpath, and Nike Global Master Trainer, Marie Purvis; and eight other respectable Nike Master Trainers throughout North America. 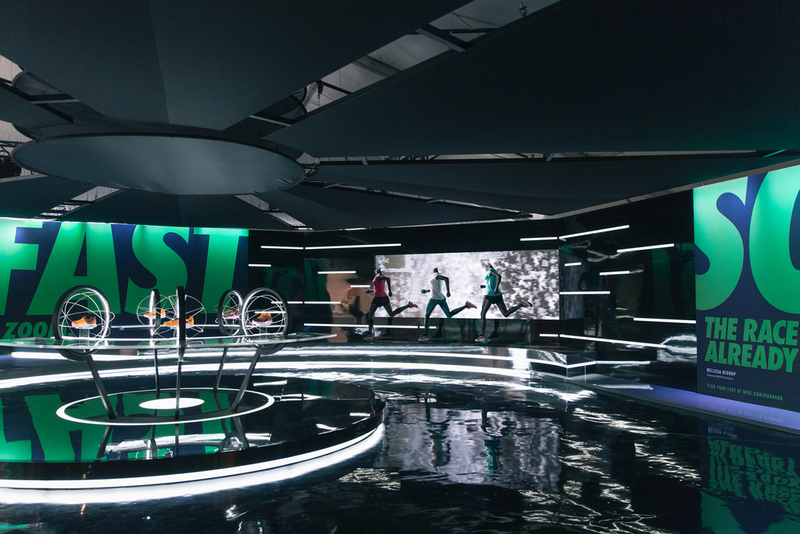 Over the course of four days, the entire Nike Women's Pavilion was home to 33 N+TC live classes, hosted by 10 Nike Master Trainers who led athlete-inspired studio, H.I.T and gym workouts every 90 minutes to approximately 3,000 women athletes. Contributing to keeping the female energy alive throughout almost every workout from the crack of dawn onwards, was DJ FeelGoodSmalls who provided upbeat, motivating music to help push every women in class beyond their limits and to finish strong and #BETTERFORIT. The goal for Nike Women's Weekend in Toronto was to drive the women’s sport movement to grow and evolve; both as women bond with one another and as Nike expands the sport and fitness lifestyle in new places. Connecting to a global community of female athletes, #BETTERFORIT stands out as Nike’s largest initiative to support and motivate women’s athletic journeys. If you’re brave enough to try, you’re strong enough to finish. During the four days, the Nike Women's Village was home to many different Nike+ Services for runners, a retail space where women can shop for running and training gear; and be the first in the world to get access to a selection of the Fall running footwear and apparel collection. In addition, the services available included complimentary bra fitting sessions and a thorough Nike Run Analysis. The Nike Women's media crew were also inviting to take part in an exclusive panel discussion with special guest appearances from athletes and coaches at the Nike Women's Village, including: Paula Findlay, Canadian triathlete; Joan Benoit Samuelson, American Olympian Marathon Runner; Sarah Reinertsen, Paralympian and Triathlete; Spencer O'Brien, Professional Snowboarder and more. As an added bonus, the media crew was the first to find out and spread the word that Nike Canada will now implement an e-commerce service available come holiday season 2015. Now we can all train in style for the next marathon to come!